The two Wisconsin crop circles, shown at right, laid on July 4 in the Horicon Marsh area included the ZetaTalk Triangle, but the first formation shows an orb occulting the Sun, increasing in size, and the second formation shows this same increased size ratio. In that Nancy lives in Wisconsin, an hour away from Horicon Marsh, and is intensely active in posting photos and visual sightings of the Planet X personas, this orb size increase was interpreted to mean visible size at key points during the approach and passage. The ZetaTalk Triangle is formed at passage, per the Zetas. The Earth, Sun, and [Planet X] will thus Form a Triangle in the Earth's orbital plane with a 23 degree angle at the Earth, an 18 degree angle at the Sun, and a 139 degree angle at [Planet X]. It is at this point, essentially, that [Planet X] is closest to the Earth, as with the angle of entry into the Earth's orbital plane being 32 degrees at this point, [Planet X] essentially dives up through the Earth's orbital plane and quickly passes on. By early 2004, reports of such an occulting orb were emerging. Starting at 12 Noon on Feb 15 I took a welders lens outside and also wore 2 good sets of polarized sun glasses and looked up at the sun. An orb approximately 3/4 the size of the sun shows up right in front of the sun. It is still in front 2.5 hours later. It has an orange tint to it. The sun is whiter and behind. I saw it again, but it is now a little less obvious and you are right a little offset now. The yellow/orange orb in front of the sun was best seen at 12:00 noon. Keep your eyes on it and you will see the layered look it has. When your eyes have adjusted look away for a few seconds and then look up again, you should see it even more clearly. I used 2 sunglasses 1. zeiss sunglasses and 2. persol sunglasses, both of them over $200. I saw what he/she was talking about, on Feb 15. I used a #10 welders glass and a pair of Revo sunglasses (the best you can get- $400.00). I moved the welders lens around so no it is not a spot on the lens. Your eyes seem to try and adjust, but the disk in front of the sun is an orangy color, and it appeared a little offset from the middle of the sun. I went outside around 10 AM on Jan 31 here in El Paso, TX to view the Nibiru complex with my air lens. Nibiru is the dark spot on the Sun surface. My location is Roraima State in the Amazon River area. We are watching on Jan 31 a monster object about the size of full moon setting before the Sun. Its red tail is very impressive, with a big dust cloud around it. At 9,000 feet looking south from the Lincoln National Forest situated in the Sacramento Mountains at 4:45 PM on Jan 21. The site was a well defined white circle no yellow or orange or red hue or color at all. Just bright white and in plain daylight situated well above the horizon as the sun was setting behind the mountains overlooking White Sands Missle Range in NM. 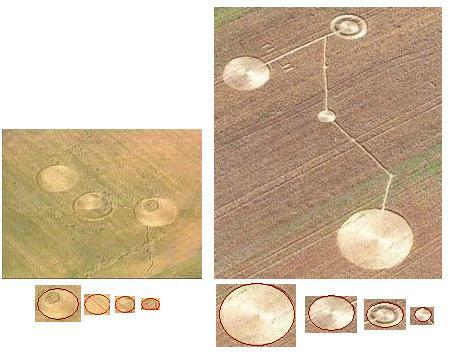 Looked about double the size of the moon and the site was a full circle (full if you will). Since the moon is out of phase and essentially not visible what we saw had to be your Planet X. Visiblity lasted 3 minutes until cloud cover obscured it. I saw the second sun plain as the nose on my face and this was verified by my fiance who was with me. Planet X is now in front of the Sun on Jan 20 in Seattle! Must be closer, as there is very little margin between circumferences now. Before, 2 months ago, it was like dime/nickle/ margin. Now penny/nickle ratio. Smack in the center of the sun. Opaque. Perfect definition. No mistake. I got neighbors out of their houses, and they saw it too. Everyone around here is abuzz.